Archie N. Bradley...Is a 2011 graduate of Broken Arrow (Okla.) High School…went 12-1 as a senior and was named The Oklahoman's 2011 All-State Player of the Year while leading his team to a 36-2 record and a 6A State Championship…also selected as a 2011 Louisville Slugger preseason All-American…earned 2010 AFLAC All-American honors as a junior...Committed to play football (quarterback) and baseball at the University of Oklahoma...Signed by Kyle Denney (D-backs). Went 3-3 with 1 save, a 1.73 ERA, 79 strikeouts and a .207 opponents average in 63 games in his first season as a reliever ... Ranked among NL relievers in several categories, including holds (T-2nd, 25), ERA (5th), WHIP (11th, 1.04) and strikeouts (T-11th) ... Set the single-season, club reliever record in ERA and ranked among the team's all-time single-season reliever leaders in holds (T-4th), baserunners per 9.0 innings (5th, 9.49), opponents on-base pct. (6th, .266), strikeouts (7th) and WHIP (8th) ... Limited opponents to a .161 average with 1 extra-base hit (HR) with runners in scoring position…opponents were 4-for-33 (.121) with RISP and 2 outs ... Did not allow a home run in a careerlong 49.2 consecutive innings (46 games) from May 31-Sept. 26…the streak was snapped in his final outing of the season on Sept. 30 @ Royals (Lorenzo Cain) ... Set the club record with a 1.10 ERA before the All-Star break ... When pitching on 0-2 days of rest, posted a 0.63 ERA, including a 0.00 ERA (13.2 IP) on back-to-back days ... POSTSEASON: Appeared in 3 games and posted a 3.00 ERA (2 ER in 6.0 IP)… in the Wild Card Game vs. Rockies, recorded the fifth triple by a pitcher (first by a reliever) in postseason history (last: Dontrelle Willis in 2003 NLDS Game 4 vs. Giants)…other pitchers: Tom Glavine (1996), Dutch Ruether (1919) and Cy Young (1903). Went 8-9 with a 5.02 ERA (79 ER in 141.2 IP) with 143 strikeouts in 26 starts over 3 stints with the D-backs...Ranked among D-backs single-season rookie leaders in strike-outs (3rd, 143), starts (T-4th, 26), innings (6th, 141.2), wins (T-6th, 8) and quality starts (T-6th, 11)...His 9.08 strikeouts per 9.0 IP were most by a rookie in team his-tory (min. 20 starts)...Was Arizona's second rookie with multiple 10+ strikeout games (also: 4x by Brandon Webb in 2003)...After joining the D-backs on May 29, ranked among the NL rookie leaders in innings (1st, 131.1), starts (1st, 24), strikeouts (2nd, 137) and strikeouts per 9.0 IP (3rd, 9.39)…ranked eighth overall in the NL strikeouts after his recall...Limited right-handed hitters to a .235 average (66-for-281), the third-best mark by a Major League rookie, trailing Kenta Maeda (.213) and Junior Guerra (.231)...Led all rookies and ranked seventh in the NL with a .225 op-ponents average (36-for-160) with runners in scoring position...Was 8-3 with a 3.21 ERA (29 ER in 81.1 IP) in 13 starts when go-ing 6.0+ innings and 3-0 with a 2.53 ERA (6 ER in 21.1 IP) in 3 starts when going 7.0+...Recorded 38 strikeouts in June were the fourth most by a rookie in a single month, trailing Brandon Webb in August (50) and July (44) 2003 and Daniel Hudson in August 2010 (42)...Recorded 10 strikeouts on June 3 @ Cubs, becoming the first rookie since the Reds' Raisel Iglesias (2011) to strikeout 10+ batters at Wrigley Field.... Set a career high and tied the D-backs rookie record with 11 strikeouts on Oct. 1 vs. Padres (also: Webb on Aug. 19, 2003 vs. Reds and Scherzer on Sept. 7, 2008 @ Dodgers) ...Did not allow a home run from Sept. 4-end of the season (34.2 IP), the fifth-longest streak in team history by a rookie starter (source:STATS LLC. )Was 5-1 with a 1.99 ERA (9 ER in 40.2 IP) and 47 strikeouts in 7 starts for Triple-A Reno…at the time of his final promotion, ranked among Pacific Coast League leaders in ERA (3rd), wins (T-3rd), WHIP (4th, 1.08) and strikeouts (9th, 47)...Named PCL Pitcher of the Week for May 16-23. Made 8 starts with the D-backs in his fi rst Major League season, going 2-3 with a 5.80 ERA (23 ER in 35.2 IP)…Was the first starter in club history to allow 2 runs or fewer in his first 4 career starts…Won his Major League debut on April 11 vs. Dodgers (opposite Clayton Kershaw), tossing 6.0 scoreless innings with 1 hit…was the first pitcher to throw 6.0+ innings and allow 1 hit or less in his debut since the Marlins' Brad Hand on June 7, 2011 vs. Braves (1 H, 1 ER in 6.0 IP)…his 3.1 hitless innings to start were the most by a D-backs starter in his debut and second most by a D-backs pitcher in his debut (Max Scherzer - 4.1 IP)…Collected his first hit in his debut, a single off Kershaw, becoming the first starting pitcher to collect his fi rst hit before allowing a hit in his MLB debut since the Cardinals' Marco Gonzales on June 25, 2014 @ Rockies (source: STATS LLC)…Was the first pitcher in baseball history to make his Major League debut and second career start opposite the reigning Cy Young Award winner (Clayton Kershaw) and World Series MVP (Madison Bumgarner)…Became the fifth pitcher since 1914 to allow 2 hits or less in 6.0+ innings in 2 of his first 3 Major League games…also: Travis Wood (2010), Ken Cloude (1997), Marvin Freeman (1986) and Wayne Simpson (1970)…Went 2-0 with a 1.45 ERA (3 ER in 18.2 IP) in his first 3 starts…Was struck in the face by a Carlos Gonzalez line drive on April 28 vs. Rockies and suffered a right sinus fracture…was on the disabled list from April 29-May 16…Returned to the rotation on May 16 and made 4 starts before returning to the disabled list from June 4-Aug. 24…was optioned to Triple-A Reno on Aug. 24…Was 1-0 with a 2.08 ERA (4 ER in 17.1 IP) in 3 starts with the Aces to end the season… Participated in the D-backs' Instructional League. America as possessing the Best Fastball among D-back farmhands. Spent the entire season with Single-A South Bend, going 12-6 with a 3.84 ERA (58 ER in 136.0 IP) and 152 strikeouts in 27 starts.....Named to the Midwest League midseason All-Star Team.....Ranked among MWL leaders in lowest batting average (1st, .181), strikeouts per 9.0 IP (1st, 10.06), walks (1st, 84), wins (T-2nd), strikeouts (2nd, 152), starts (T-6th) and innings pitched (9th).....Entered the season ranked as the D-backs' No. 2 Prospect by MLB.com (20th overall) and Baseball America (25th)…also tabbed by Baseball America as possessing the Best Fastball among D-backs farmhands. Made his professional debut with Rookie Missoula, going 0-0 with a 0.00 ERA (2.0 IP) in 2 games (1 start). May 29, 2016 Arizona Diamondbacks recalled RHP Archie Bradley from Reno Aces. May 10, 2016 Arizona Diamondbacks optioned RHP Archie Bradley to Reno Aces. May 9, 2016 Arizona Diamondbacks recalled Archie Bradley from Reno Aces. April 19, 2016 Arizona Diamondbacks optioned RHP Archie Bradley to Reno Aces. April 17, 2016 Arizona Diamondbacks recalled Archie Bradley from Reno Aces. March 21, 2016 Arizona Diamondbacks optioned RHP Archie Bradley to Reno Aces. October 5, 2015 Arizona Diamondbacks recalled Archie Bradley from Reno Aces. August 24, 2015 Arizona Diamondbacks optioned RHP Archie Bradley to Reno Aces. August 24, 2015 Arizona Diamondbacks reassigned RHP Archie Bradley to the minor leagues. August 23, 2015 Arizona Diamondbacks sent RHP Archie Bradley on a rehab assignment to Visalia Rawhide. August 18, 2015 Arizona Diamondbacks sent RHP Archie Bradley on a rehab assignment to AZL D-backs. June 24, 2015 Arizona Diamondbacks sent RHP Archie Bradley on a rehab assignment to Reno Aces. May 16, 2015 Arizona Diamondbacks activated RHP Archie Bradley from the 15-day disabled list. April 29, 2015 Arizona Diamondbacks placed RHP Archie Bradley on the 15-day disabled list. Right sinus fracture. April 5, 2015 Arizona Diamondbacks selected the contract of RHP Archie Bradley from Mobile BayBears. February 13, 2015 Arizona Diamondbacks invited non-roster RHP Archie Bradley to spring training. June 26, 2014 RHP Archie Bradley assigned to Mobile BayBears from Reno Aces. June 21, 2014 Reno Aces sent RHP Archie Bradley on a rehab assignment to AZL D-backs. April 27, 2014 Reno Aces placed RHP Archie Bradley on the 7-day disabled list. 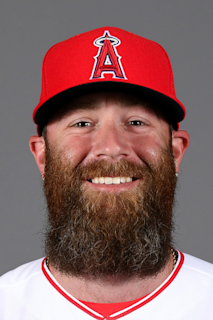 April 2, 2014 RHP Archie Bradley assigned to Reno Aces from Mobile BayBears. January 8, 2014 Arizona Diamondbacks invited non-roster RHP Archie Bradley to spring training. May 2, 2013 RHP Archie Bradley assigned to Mobile BayBears from Visalia Rawhide. March 30, 2013 Archie Bradley assigned to Visalia Rawhide from South Bend Silver Hawks. March 5, 2013 RHP Archie Bradley assigned to Arizona Diamondbacks. April 2, 2012 Archie Bradley assigned to South Bend Silver Hawks from Missoula Osprey. August 30, 2011 Archie Bradley assigned to Missoula Osprey. August 15, 2011 Arizona Diamondbacks signed RHP Archie Bradley.